Why would I need self storage in Wheat Ridge, CO? There are a variety of reasons why you might need self-storage in Wheat Ridge, CO.
How much is a storage unit in Wheat Ridge, CO? The cheapest storage unit in Wheat Ridge, CO is $38.00 per month. What size storage units do you have available in Wheat Ridge, CO? In Wheat Ridge, CO we have sizes that range from 4'x5' to 10'x40' to suit your storage needs. How much is it for a 4'x5' storage unit in Wheat Ridge, CO? The cheapest 4'x5' storage unit in Wheat Ridge, CO is $41.00 per month. Just 15 minutes from downtown Denver, Wheat Ridge is a popular home base for families that want a quaint residential city within easy reach of major metropolitan conveniences. Wheat Ridge covers about 9.5 square miles, and is host to a number of amenities, scenic views of the Rocky Mountains and a welcoming community. Wheat Ridge began as a rest stop for gold miners headed West to try their luck in the Gold Rush of 1859. Many of the unsuccessful miners would later return to Wheat Ridge and settle here to farm the rich soil. The area was named for its fields of wheat, but once settled, many farmers converted the land to fruit orchards and vegetable fields for other crops. These in turn gave way to a flourishing flower industry. 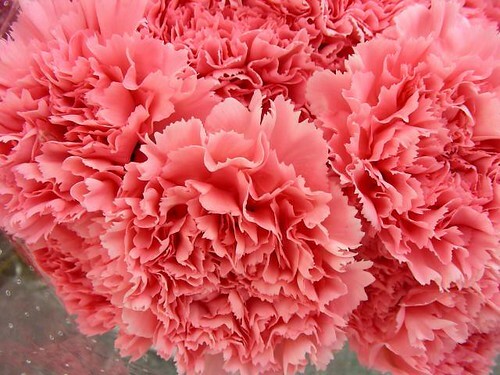 Today, Wheat Ridge is alternately known as Carnation City, for the abundance of greenhouses that produce more carnations than anywhere in the world. Wheat Ridge is a desirable community that has earned a number of awards for its quality of life, including recognition for its parks and recreation programs, the local trail system, and the annual Wheat Ridge Carnation Festival. In addition, its proximity to Denver and Interstate 70 puts you within easy reach of big-city entertainment, professional sports, shopping, restaurants and recreational activities like skiing and hiking. Among the city's highlights is the Wheat Ridge Carnation Festival, an annual celebration of the local community. Its name is a nod to the thriving carnation industry, and it's one of the longest-running festivals in the state. This family-friendly event offers carnival rides, food vendors, live music, a car show and a celebratory parade. Public school students in Wheat Ridge attend Jeffco Public Schools. In addition to public schools, Wheat Ridge is home to several private and charter schools. Utilities: Xcel Energy supplies both electricity and natural gas to Wheat Ridge homes. Several water districts provide water throughout the city. Garbage and Recycling: There city provides no designated trash service. However, you can choose from a number of private companies and arrange for your own collection services. Transportation: The Regional Transit District serves the greater Denver area, providing public transportation options that include bus and rail. Home prices in Wheat Ridge are on par with Denver averages, which isn't surprising considering its proximity to the big city. There are a variety of housing sizes and styles to choose from, ranging from contemporary multi-story homes to spacious, ranch-style homes on landscaped lots. You can also find many options for rent, including apartments and town houses. Our lowest priced units in Wheat Ridge, CO average $46.56 per month. 584 people have reserved units in Wheat Ridge, CO in the past 30 days. There are 9 locations within Wheat Ridge, CO's city limits. There are 3 locations in Wheat Ridge, CO that offer AC and Heating features.